This durable school shoe features Airflex’s own Impact Cushion Technology. 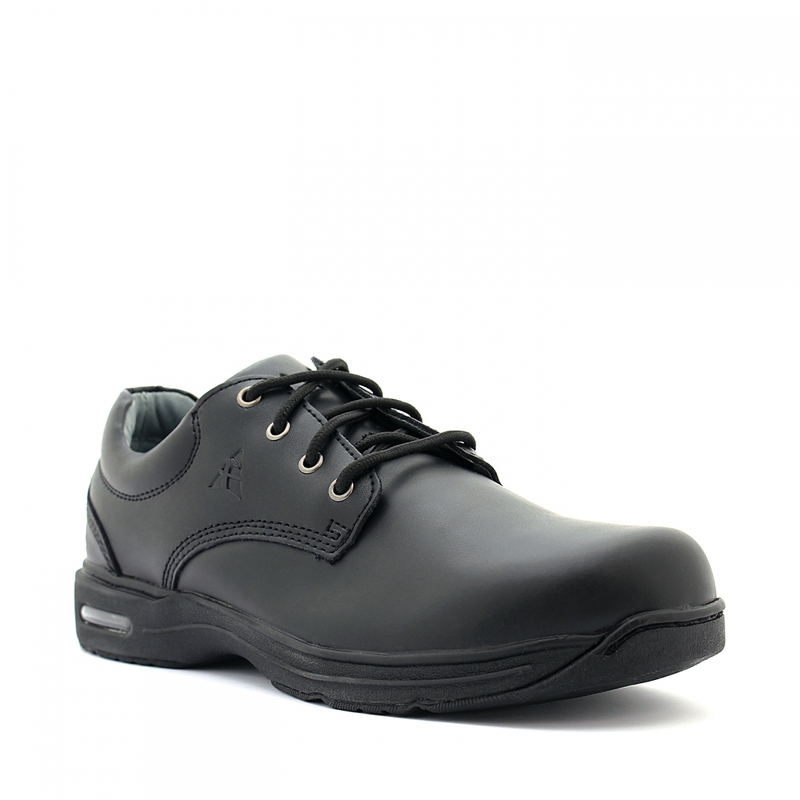 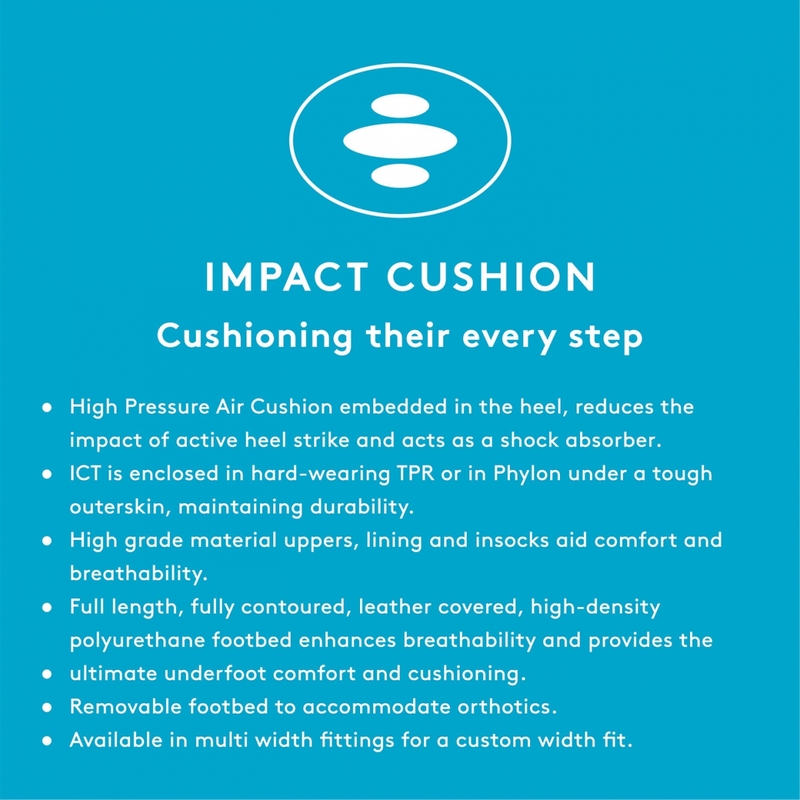 The high pressure air cushion embedded in the heel of the shoe reduces the impact of active heel strike. 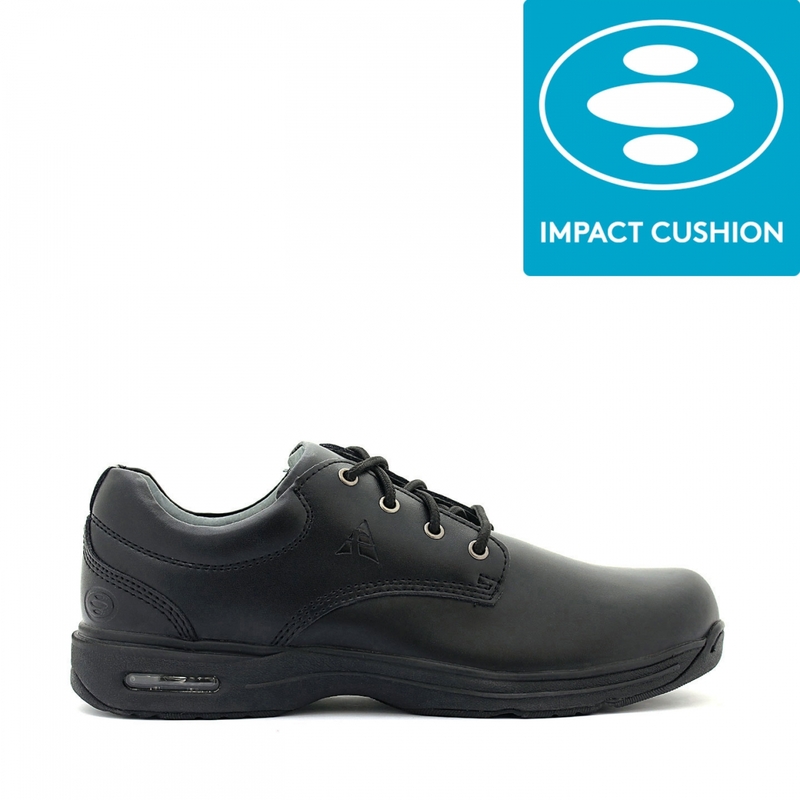 Plus, this pair comes with two interchangeable leather covered footbeds.